A new recommendation released by the FDA has finally determined that partially hydrogenated oils are not regarded as safe for humane consumption. The new regulations come into effect on the 18th of June 2018 and food manufacturers have been provided with three years to removed the oils; a major source of artificial trans fat in the American diet. Trans fats have a molecular composition that affects cholesterol. Consuming them lowers “good” cholesterol (HDL) and increases bad cholesterol (LDL). Food companies use artificial trans fats to improve the texture, extend the shelf life and increase the stability of processed foods. 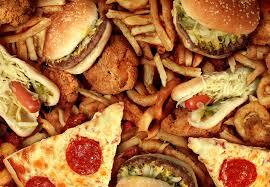 The consumption of trans fat has fallen over the last few years but it still a public health concern. “This determination is based on extensive research into the effects of PHOs, as well as input from all stakeholders received during the public comment period,” said the Director of the FDA’s Food Safety and Applied Nutrition Center Dr. Susan Mayne. The main sources of trans fat oils in the American diet are cakes, cookies, pies, margarines and spreads, fried foods, savory snacks such as microwave popcorn, frozen pizza, ready-to-use frosting and coffee creamers, according to the Centers for Disease Control and Prevention (CDC). It is estimated that eliminating trans fat from the American diet could prevent 10,000-20,000 heart attacks and 3,000-7,000 coronary heart disease deaths each year in the US.